And the other from Rebekah of http://www.welive inspired.com. 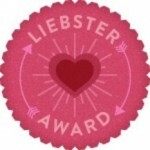 What is a Liebster? The meaning: Liebster is German and means sweetest, kindest, nicest, dearest, beloved, lovely, kind, pleasant, valued, cute, endearing, and welcome. Each award comes with instructions that vary somewhat. The instructions for my awards are different, so I will follow the instructions from Gloria’s award on this blog and the one from Rebekah on my devotional blog as she also nominated that. Gloria’s award simply asks that you nominate 5 blogs that inspire you or that you think are worthy. So in a sense passing on the torch. 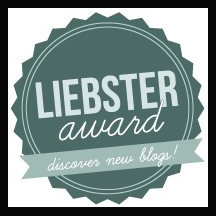 So hopefully the below will accept the award and in turn nominate 5 blogs that they love. Oh and please tell the people you have nominated. 1. Christine at http://cmlk79.blogspot.ca. Her site has wonderful art that is so gentle and whimicsal. 2. Mary at http://www.marywalkerdesigns.com. Her site is inspirational and real. Lovely journal pages of her family life. 3. Netty at http://nettysartadventures.blogspot.co.uk. Here you will share her journey studying art as a mature student. She is very inspirational. 4. Ilona at http://ih-billedskunst.blogspot.de . Ilona is an amazing artist, very inventive and inspirational. Love her drawings and sculpture. So check out these blogs and be inspired. Sharon, I am so honored for you to think of me. My blog time is limited at this time so I am afraid I will have to decline. Please select someone else for my spot and edit your post to highlight someone else. Thank you for the honor. I'm sorry I have to do this. Thanks for the award Sharon! Dear Sharon! Thank you very much for thinking of me with the award! I'll need just a little time to think about how I handle this hope it's ok! Sharon, what deserving awards you received! You are truly so kind and a brilliant artist! I thank you for this wonderful award and I do accept! How thoughtful and caring. I will also check out the other lovely blogs you've mentioned. Thank you again and I look forward to viewing more of your beautiful artwork! So wonderful! Thank your again!